The Hohenstaufen, also called the Staufer or Staufen, were a dynasty of German kings (1138–1254) during the Middle Ages. Besides Germany, they also ruled the Kingdom of Sicily (1194–1268). In Italian historiography, they are known as the Svevi (Swabians), since they were (successive) dukes of Swabia from 1079. Three members of the dynasty—Frederick I, Henry VI and Frederick II—were crowned Holy Roman Emperor. The name "Hohenstaufen", meaning "high Staufen", originates in the 14th century, when it was first used to distinguish the conical hill named Staufen in the Swabian Jura, in the district of Göppingen, from the village of the same name in the valley below. The name "Staufen" derives from Stauf (formerly stouf), meaning "chalice", and was commonly applied to conical hills in Swabia in the Middle Ages. The family derives its name from the castle which the first Swabian duke of the lineage built there in the latter half of the 11th century. Staufen castle was only finally called Hohenstaufen by historians in the 19th century, to distinguish it from other castles of the same name. The name of the dynasty followed, but in recent decades the trend in German historiography has been to prefer the name Staufer. When the last male member of the Salian dynasty, Emperor Henry V, died without heirs in 1125, a controversy arose about the succession. Duke Frederick II and Conrad, the two current male Staufers, by their mother Agnes were grandsons of late Emperor Henry IV and nephews of Henry V. Frederick attempted to succeed to the throne of the Holy Roman Emperor (formally known as the King of the Romans) through a customary election, but lost to the Saxon duke Lothair of Supplinburg. A civil war between Frederick's dynasty and Lothair's ended with Frederick's submission in 1134. 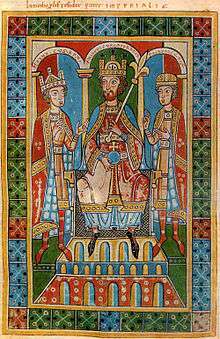 After Lothair's death in 1137, Frederick's brother Conrad was elected King as Conrad III. Frederick died in 1190 while on the Third Crusade and was succeeded by his son, Henry VI. Elected king even before his father's death, Henry went to Rome to be crowned emperor. He married Queen Constance of Sicily, and a death in his wife's family in 1194 gave him possession of the Kingdom of Sicily, a source of vast wealth. Henry failed to make royal and Imperial succession hereditary, but in 1196 he succeeded in gaining a pledge that his infant son Frederick would receive the German crown. 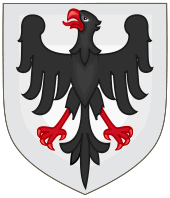 Faced with difficulties in Italy and confident that he would realize his wishes in Germany at a later date, Henry returned to the south, where it appeared he might unify the peninsula under the Hohenstaufen name. After a series of military victories, however, he fell ill and died of natural causes in Sicily in 1197. 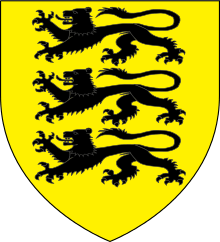 His underage son Frederick could only succeed him in Sicily and Malta, while in the Empire the struggle between the House of Staufen and the House of Welf erupted once again. Because the election of a three-year-old boy to be German king appeared likely to make orderly rule difficult, the boy's uncle, Duke Philip of Swabia, brother of late Henry VI, was designated to serve in his place. Other factions however favoured a Welf candidate. In 1198, two rival kings were chosen: the Hohenstaufen Philip of Swabia and the son of the deprived Duke Henry the Lion, the Welf Otto IV. A long civil war began; Philip was about to win when he was murdered by the Bavarian count palatine Otto VIII of Wittelsbach in 1208. Pope Innocent III initially had supported the Welfs, but when Otto, now sole elected monarch, moved to appropriate Sicily, Innocent changed sides and accepted young Frederick II and his ally, King Philip II of France, who defeated Otto at the 1214 Battle of Bouvines. 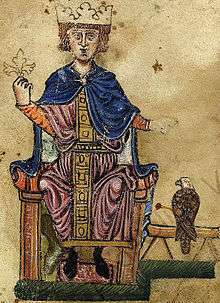 Frederick had returned to Germany in 1212 from Sicily, where he had grown up, and was elected king in 1215. When Otto died in 1218, Fredrick became the undisputed ruler, and in 1220 was crowned Holy Roman Emperor. Conrad IV was succeeded as duke of Swabia by his only son, two-year-old Conradin. By this time, the office of duke of Swabia had been fully subsumed into the office of the king, and without royal authority had become meaningless. In 1261, attempts to elect young Conradin king were unsuccessful. 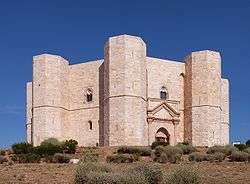 He also had to defend Sicily against an invasion, sponsored by Pope Urban IV (Jacques Pantaléon) and Pope Clement IV (Guy Folques), by Charles of Anjou, a brother of the French king. Charles had been promised by the popes the Kingdom of Sicily, where he would replace the relatives of Frederick II. Charles had defeated Conradin's uncle Manfred, King of Sicily in the Battle of Benevento on 26 February 1266. The king himself, refusing to flee, rushed into the midst of his enemies and was killed. Conradin's campaign to retake control ended with his defeat in 1268 at the Battle of Tagliacozzo, after which he was handed over to Charles, who had him publicly executed at Naples. With Conradin, the direct line of the Dukes of Swabia finally ceased to exist, though most of the later emperors were descended from the Staufer dynasty indirectly. ↑ Stälin, Paul Friedrich (1882). Geschichte Württembergs Erster Band Erste Hälfte (bis 1268). Gotha,. pp. 389–393.